It doesn’t matter what day of the week , or even what time you go to the gym, they’re always there… the same group of people hitting the treadmills, pounding the steppers and cranking it out on the exercise cycles. Why? Probably to ‘lose weight and tone up’ as the old saying goes. But exactly how much cardio do you need to lose fat or drop body weight? 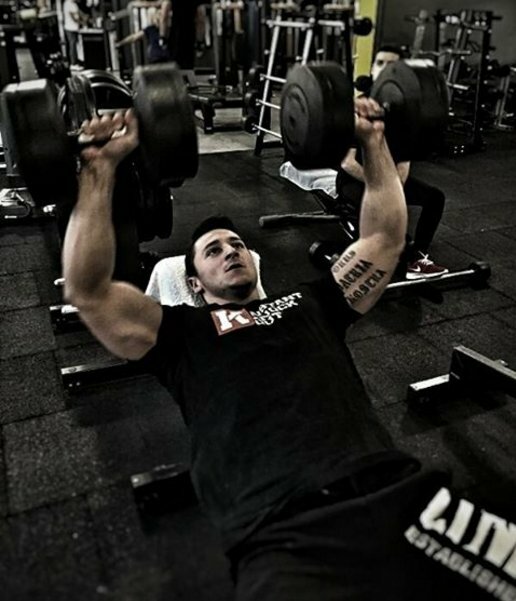 Is it something you should even be doing in the first place if you want to achieve a great physique? It’s tough knowing where to start when it comes to programming exercise for fat loss. But as an activity that burns calories, improves health and well-being and elevates your fitness levels, cardio is always a good option to consider. Before we talk about the cardio connection though we need to look at the physiology of weight loss and fat oxidation. Because without understanding how energy works you can exercise the soles from your trainers and not lose an ounce of weight. Here’s ‘the industry secret no-one wants you to know’… if you take in less calories than you burn off you’ll lose fat… and if you take in more you’ll gain fat. When you eat too many calories your body tucks the extra energy away in your fat cells, ready for a rainy day. This is called a calorie surplus or positive energy balance. The problem is though that rainy day never comes so you keeping adding more and more fat. And that’s obviously not good. On the flip side though, if you take in less calories than you burn off you’ll be given the master key to your fat cells, opening them up and unlocking that extra energy to make up the difference. This is called a calorie deficit or negative energy balance. And it’s the key to losing fat. How can you achieve a calorie deficit? There are two ways you can ensure you hit a negative energy balance – reducing food intake and increasing physical activity. That’s because cardio burns calories and therefore subtracts them from your total intake. But there’s pros and cons to both methods. Let’s say that in order to hit your deficit you need to shave 500 kcal off your daily amount. To do this you can either skip a meal of 500 kcal or you can eat the meal and then do 500 kcal of exercise to burn the excess off. Eat low and train low – if you’re not active you can’t eat as much food before you hit a calorie surplus – you calorie intake is low. But you don’t have to exercise to achieve a deficit so suits those that don’t like exercise – but you might feel hungry a lot. Eat high and train high – the more exercise you do, them more you can eat and still be in a deficit – you can eat more each day. You’ll get fitter and healthier too. Eat low and train high – you might lose weight even quicker, but by eating very little and exercising hard you run the risk of illness and burnout. Key Point: The key to fat loss is achieving a calorie deficit by either limiting calorie intake or burning them off through exercise… or you can do both to maximize results. Let’s get something straight right from the get-go. Cardio isn’t bad for you. Unless you’re doing an absolute ton of it, it’ll not make your muscles shrink. But is it as good a calorie burner as strength training? Don’t get us wrong, strength training is one hell of a calorie burner, but based on metabolic testing and caliometry, cardio is still your best option when it comes to calorie burning. When it comes to exercise guidelines there’s no better place to start than the American College of Sports Medicine (ACSM). Because as a collaborative group of expert physiologists, sport scientists and medical staff, they know what they’re talking about. And they’re the ones responsible for taking all of the research on a health and fitness-related subject and providing educational and practical guidelines for you to follow that help you achieve your goals. Following these guidelines gives you a rough idea of how much you need to do. There’s been a shift in the industry over the last couple of years. Recently, it become popular to state that cardio is a waste of time, has a negative effect on fat loss and doesn’t burn fat. And that’s just plain wrong. Not only is cardio more accessible than weight training (you don’t need equipment), it’s a more efficient calorie burner too, making it much easier to hit your calorie deficit. Strength training might burn around 200 calories an hour but cardio can burn double that, if not more. And even when you factor in the afterburn effect (the calories you burn after a session) of strength training, cardio still comes out on top. Key Point: To burn fat you should be looking to introduce cardio 3 or more days a week at a moderate to high intensity – choose something you enjoy to boost the chances of you keeping it up. Are The Other Benefits to Cardio? Improved fitness – you’ll improve your cardiovascular ability, leading to a stronger heart, higher maximal oxygen consumption value, better gaseous exchange ratios in the lungs and tissues and lower resting heart rate too. Better sports performance – practically all sports coaches use cardio as a base for their athletes. This helps them maintain a higher levels of endurance and stamina to work with during strength and anaerobic conditioning work. It also helps with general recovery too. You’ll be healthier – there’s a strong correlation between those that take part in regular cardio and lower risk of metabolic and cardiovascular disease. Cardio improves your blood lipid and sugar levels as well as your joint, muscle and bone health. This means you’re less likely to suffer from coronary heart disease, diabetes or low bone density. It can even lower the risk of some cancers too. Cardio is a great fat burning activity. It helps to keep you fit and healthy and contributes to your daily energy expenditure. Aiming to be active between 3-5 days per week for 30 or more minutes is the key to harnessing the fat-shredding power of cardio. And by picking an activity that you enjoy, the chances are you’ll be much more likely to fit it into your lifestyle too. How does cardio burn fat? How much cardio should I do a day to lose fat? How much cardio to do a week to lose weight?